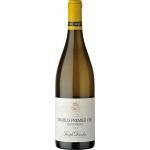 Joseph Drouhin elaborates this Joseph Drouhin Rully Blanc 2015 , a white wine from Rully vinified with pinot noir and chardonnay from 2015 and has an alcohol content of 13%. The Joseph Drouhin Rully Blanc 2015 is the ideal white to combine with risotto and white meat. 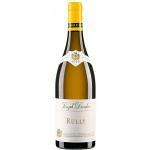 Uvinum users evaluate this white wine with 2,3 out of 5 points and also has the following ratings: robert parker: 86. 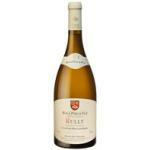 - Nose: fresh and fruity aromas, shades of broom and almond, a fine note of citrus candied. White flowers are perceived in this Joseph Drouhin Rully. Like the fruit flavour. Honeyed aromas. It seemed a bit salty, it reminded me the sea. Highlights the straw yellow color. Notes of white fruits such as apples. It has a slightly salty final. I was impressed by its colour. Daffodil Smells. It is the softest wine of Burgundy. Pefect with a dutch cheese. Brilliant straw yellow colour with green hues . On the nose, white fruits noticeable. We drank it fast, cooled is very refreshing. Rully is a good wine area to drink with food. If you want to buy Joseph Drouhin Rully Blanc 2015, at Uvinum you will find the best prices for Rully white wine. Purchase it at Uvinum at the best price, comfortable from your couch and with all the guarantees. We offer over 59.000 products on sale becoming this way the biggest online shop to sell wine, beer, and spirits in Europe with over 38.000 clients trusting us.